Jobbie Services India Pvt. Ltd, which provides drivers on demand through mobile app Zuver, has raised Rs 1.2 crore ($180,000) in angel funding from Shruth & Smith Group of Bangalore and Pune’s Hermes Group. The Mumbai-based startup will use the funds to expand its operations and ramp up the technology infrastructure, co-founder Sovin Hegde said. Shruth & Smith Holdings provides geographical information services, infrastructure consulting and other technology services. Hermes Group’s flagship company is Ramesh Builders & Associates. 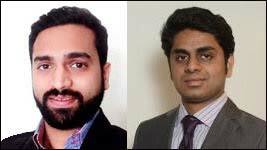 The startup was launched in January 2016 by Hegde and Sidhanth Mally. It was earlier known as Qwikdryver and was rebranded to Zuver in April. The app connects car owners with drivers through on-demand and monthly subscription models. Drivers on demand are available at a flat rate of Rs 100 an hour. Monthly subscription starts at Rs 4,000. Hegde said the market for drivers on demand is underserved and most players don’t offer monthly subscriptions. Zuver joins Chennai-based on-demand chauffeur provider DriversKart, Bangalore’s DriveU and Mumbai’s Zimmber in raising funds. DriversKart raised Rs 3 crore in April. DriveU mobilised funding from Unitus Seed Fund in March. On-demand home services platform Zimmber secured just under $2 million in July. Some home services marketplaces, such as UrbanClap, also provide drivers on demand. Zuver’s services are available only in Mumbai. It has 60 drivers on its network and hopes to take this number to 120 in Mumbai alone within two months. The startup plans to enter Bangalore and Pune by the end of May and venture into Delhi and Hyderabad by the end of this year. It is looking to raise $2 million as part of its pre-Series A funding within six months and is already in talks with investors. Zuver plans to soon introduce valet parking services in business districts by renting out parking lots in tie-ups with owners of parking spaces. It will also introduce valet parking services at events. A Harvard Business School alumnus, Hegde previously worked at construction material firm Octamec Engg Ltd as vice president of sales. Co-founder Mally is a Kings College alumnus and previously worked as an associate consultant at Cedar Management Consulting International LLC, a US-based consulting and analytics firm.